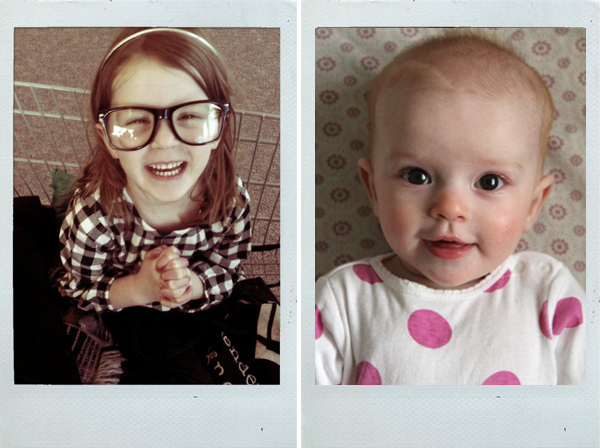 These two little girls melt my heart, and make me laugh every single day. Sometimes I wonder how time slips away from me so fast and I get behind on things, but then I remember what is most important in life, and it is them. I wish I could freeze frame and slow the clock down. Hip, hip hooray for babies, little kids, and for an amazing husband too. oh my gosh, they are SO CUTE!! so freaking cute. you are a very lucky girl!! I'd have to have the same answer... my little girl and my husband! Your girls are so beautiful! How adorable! I can't believe how much they look like you! That first picture looks just like a photo I saw over Christmas at a Hudson slide show! Amen. Where does the time go? My little redheaded boy makes my heart skip a beat. So blessed. Enjoy your beauties and cherish every minute!! Time slips by so quickly and soon they will be young teens like mine! I miss that young innocent stage. Sniff sniff. they are so adorable, rachel!! What an adorable post! Thank you for shaking me out of my work lull and reminding me how precious my beautiful family is. Time to hug every one of them! My baby Henry makes me happy....then art and all the other stuff. your daughters are beautiful! such lovely, happy smiles!